Most mobile app enthusiasts are well aware of Apple’s native rating prompt that was introduced with iOS 10.3 and made mandatory with iOS 11. At Apptentive, we believe in making it as easy as possible to leave feedback, so we were excited to see Apple acting in the spirit of fewer interruptions; reducing the time to leave a rating and review; and putting an end to leaving the app to share feedback. The user experience of rating and reviewing apps improved with these changes, but we wanted to understand the overall impact in terms of the number of ratings collected, the average rating, and the number of reviews. To find out, we analyzed 59 Apptentive customers’ apps to answer those questions and what it means for the overall app ecosystem. Fortunately, you can have the best of both worlds without needing to sacrifice crucial direct feedback that enables you to give your customers what they want—but only if you strategize correctly. Keep reading for data supporting our analysis, as well as what the best of both worlds looks like. If you work closely with apps, you’re probably already aware of this, and it makes sense: Users can rate the app with just a few taps, and they don’t need to leave the app to submit a rating. However, you may be surprised by the extent of the increase: the median daily ratings count increased 32x in our analysis. To put it another way, the median number of daily ratings pre and post-implementation of the prompt went from 5 to 162! This is a clear testament to the fact that people, particularly the “silent majority,” will tell you how you’re doing if you make it easy for them to do so and you engage them at the right moment. Further, Apple only allows three rating prompts in a 365 day period, so it’s critical to use them with precision, especially now that app developers can choose to keep or reset their current rating with a given release. 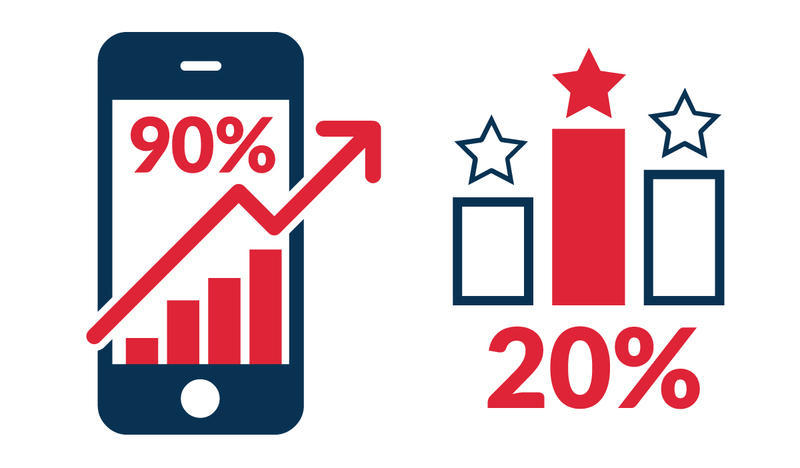 90% of apps saw an increase in their average rating and the average rating increased by 20%. This suggests the “silent majority” is represented more accurately at the expense of the “vocal minority’s” stranglehold on your sample. Here’s where we see some downside. 76% of apps saw a reduction in the number of reviews with the median app seeing a 40% decrease, meaning the desired effect on ratings comes at the expense of collecting direct feedback from your customers. Our hypothesis is that the decrease in the number of reviews is due to the rating prompt being a two-step process. That is, users can submit their rating and then dismiss the review component, and we hypothesize that the separation of the two leaves the user feeling like they’ve done their part after step one and they continue on their way. Our analysis also showed that the iOS rating prompt led to lower average ratings from customers who left a review. What does that mean? It suggests that the “vocal minority” is over represented again, and even more so than it was before the prompt. 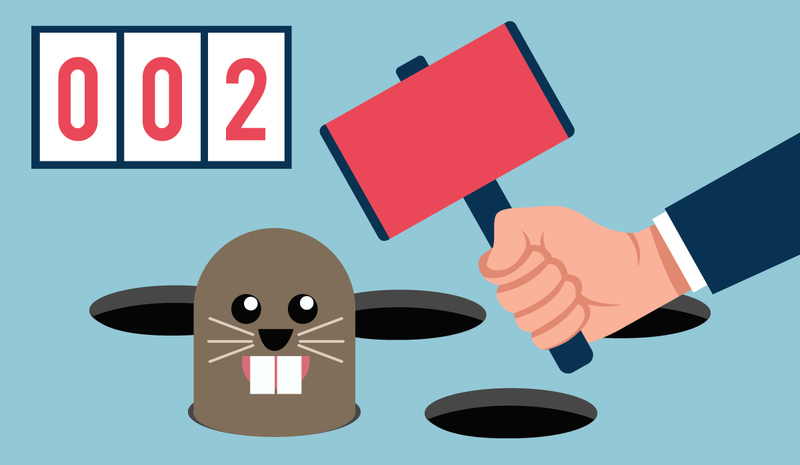 That would mean you’re much more likely to play an endless game of whack-a-mole chasing meaningless improvements than you are to drive an effective product roadmap that would satisfy the majority of your customers. There’s no such thing as too much customer feedback if you target it the right way (that’s a big “if,” but a topic for another day). During one of my first days at Apptentive, a colleague told me several stories of our customers finding new and impactful insights because they were able to collect so much more feedback than ever before. The takeaway for me is that these companies were collecting customer feedback before Apptentive, but hearing from less than 1% of their total customer base left them blind to a lot more than they thought. There’s a big difference between having too much feedback and having meaningless feedback, despite it being easy to mistake the latter for the former. The iOS rating prompt can definitely drive desired results for your app but, like most things, isn’t a one-size-fits-all solution to your specific business needs. In order to truly understand customers, you need qualitative data to make sense of quantitative data, which doesn’t happen without direct customer feedback. Apptentive empowers you to have the best of both worlds by equipping you with precision targeting tools that enable you to find that optimal balance of ratings and reviews. The end result is a collection of laser-targeted feedback from all types of interactions with your customers that allows you to make decisions that will benefit the most customers, while maximizing the outcomes your business cares about.